“That’s the thing about books. They let you travel without moving your feet.” | grow. learn. connect. Each March, the Brown Baggers join in the Big Read by reading the year’s selected title. Perhaps because it is part of a month-long event, the mood always feels very festive. For this year’s discussion of The Namesake by Jhumpa Lahiri, the Brown Baggers were treated to some delicious Indian food and welcomed a few new faces. Befitting the book’s title, names were an important keystone of our conversation. Group members discussed the impact a name can have on your life, whether an immigrant or not. Nicknames, the meaning of names, how they are chosen, changing trends — these all can influence how others perceive you or how you may view your place in the world. Most members enjoyed The Namesake and felt it offered valuable insight into the immigrant experience. The book was able to balance the stories of Ashima’s adjustment to a second culture as an adult in addition to Gogol’s struggle to live in two worlds and identities as a second generation child of immigrants. The group also discussed how Gogol’s experience may also have been affected by being the valued male child. Sonia, his sister, seemed to have a better sense of self. Perhaps as the second-born, she had more freedom to discover her own place in the world without the intense scrutiny Gogol may have faced. Being female may also have helped. This also led into a discussion of Gogol’s unusual relationships with women. While much of the story did focus on Gogol specifically, many group members felt it was also very much a portrait of Ashima and her life. The scene where Ashima puts her feet into Ashoke’s shoes stood out as appealingly bold. Some readers felt that their married relationship was not very well developed, especially considering how close they became. Overall, despite a trailing end, the group admired the story and writing style of Lahiri. Join the Brown Baggers on April 16 at noon to discuss A Visit from the Goon Squad by Jennifer Egan, winner of the 2011 Pulitzer Prize for Fiction. The Big Read is wrapping up, but find out more about The Namesake on JMRL’s website. Find other books by Jhumpa Lahiri in the JMRL catalog. 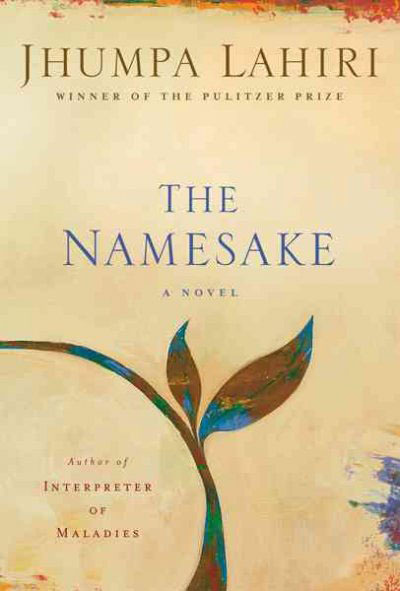 Read the New York Times review of the Namesake here. An excellent summary of the Brown Baggers’ discussion. I always enjoy revisiting the discussion topics a few weeks after the actual Thursday book club conversation. I am looking forward to the April 2015 Brown Baggers Book Group meeting and sharing thoughts on “A Visit from the Goon Squad” by Jennifer Egan. I really enjoyed the book and thought the whole Big Read experience was very well done. I attended some interesting events (like the Gogol lecture) and unfortunafely missed others (like the arranged-marriage panel discussion). Thanks!